Uth Chhuri Tor Biye Hobe Lyrics From Shikari Bengali Movie.This Song is Sung By Nakash Aziz & Madhubanti. 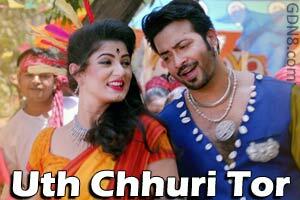 Featuring By Shakib Khan & Srabanti Chatterjee. Music composed by Indraadip Dasgupta And Lyrics written by prosen. Uth chhuri tor biye hobe re..